I have always loved reading true stories of survival. I think I’m fascinated by the ability of humans to survive in extraordinary conditions and circumstances! For adult readers out there, I’d recommend reading Lost in the Jungle, Into Thin Air and Alive: The Story of the Andes Survivors. All incredible and inspiring stories of human survival. So when this book fell in to the library last year, I quickly picked it up. Having recently watched a couple of films about true life survival, it made me think again of this fabulous book, Survivors. Extraordinary Tales from the Wild and Beyond. Written by David Long, illustrated by Kerry Hyndman and published by Faber & Faber. Winner of the Blue Peter Book Awards in 2017 (one of the few children’s book awards that, brilliantly, and rightly, celebrates non-fiction titles alongside fiction) this book is an anthology of some of the most incredible stories of survival ranging from historical tales such as Shakleton’s journey, through to modern day adventures like Aron Ralston, the canyoneer who cut off his own arm to free himself when he got trapped, literally, between a rock and a hard place. As an early heads up, there’s no doubt that stories such as Ralston’s, are not for the faint of heart, so this is most certainly a book for older children. The stories are very well edited, but some of the situations can be a little hard to stomach and this book certainly doesn’t shy away from them. However it’s been very sensitively executed by David Long, and where necessary he’s made it clear that some of these situations or survival techniques are not recommended other than in these kinds of extreme circumstances. It’s been very well handled to make them as child friendly as possible. The stories in Survivors have been very nicely condensed, so that they make a good short story read, nicely written so they’re easy to follow, but not patronising, and give enough detail to show how extraordinary these stories are, without making them too frightening. This kind of book is brilliant to dip in and out of, picking and choosing whichever stories you want to read when you’re in the mood, one of the great joys of non-fiction books like this. They are complete stories, short enough to get through in a short space of time, but leave plenty of scope for extended research and discussion should the child want to. The tales may be shocking and at times gruesome, but they are a brilliant way of getting children into reading non-fiction. Often real life can be much more shocking than fantasy and children love that. 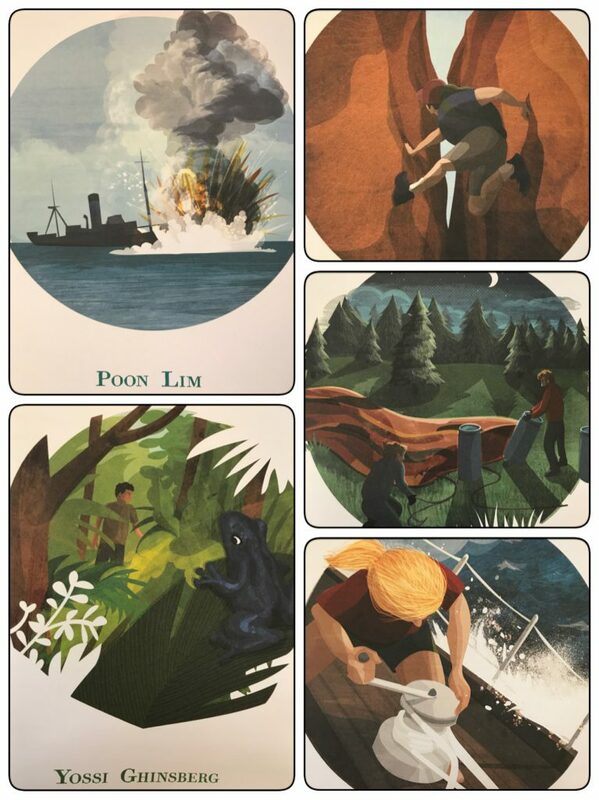 Kerry Hyndman’s illustrations are absolutely fabulous, showing some of the epic landscapes, dangerous animals and situations in an atmospheric way, with just enough of a balance between realism and illustration, to again show the places and circumstances fully, without being scary or too detailed. They are colourful and dynamic and add a brilliant additional dimension to each story. 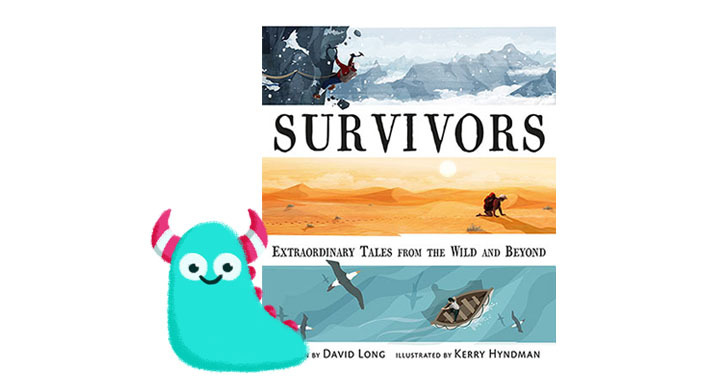 I was always gripped and inspired by stories of survival and would have absolutely loved something like this as a child, the perfect non-fiction book which provides reading for pleasure and education. A fabulous coffee table read for children and adults to share together. Survivors is available now from all good bookshops and libraries!